There's no reason you can't capture attention with all the materials used for your special event. 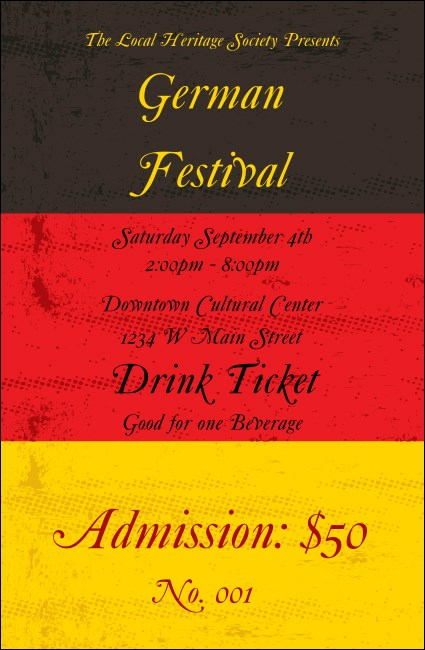 The German Flag Drink Ticket will help you keep everyone absorbed in your benefit, party or festival! Easily use the ten template lines to add your function details. From classic to contemporary, find the right ticket for every occasion at TicketPrinting.com!